New England Wool is proud to announce the launch of its very own Sustainability Accreditation Scheme for Australian wool growers. The scheme, called The New England Wool “SustainaWOOL™ Integrity Scheme” is designed for use by current and future suppliers of wool to this prominent superfine merino buyer/exporter. New England Wool represents two high profile fabric makers in the Biella Region of Italy, Reda and Vitale Barberis Canonico. New England Wool is also the world’s largest purchaser of the highest quality “spinner” style superfine wools. Andrew Blanch, Managing Director of New England Wool laid out the basics of the scheme. “New England Wool, in conjunction with its Italian shareholders wants the wool-consuming-world to understand that its raw material suppliers (wool producers) take the utmost care with their animals and the environment. Not enough focus or energy has been placed on promoting the sustainable nature of the wool production system in Australia – particularly high quality superfine wool production systems,” said Mr Blanch. “What do we mean by Sustainability and what are we trying to achieve with the SustainaWOOL™ Integrity Scheme?” he said. Mr Blanch commented that New England Wool understood that it had a major role in promoting the highly professional and ethical wool production systems of its suppliers. It also had the important role of advising potential suppliers of areas that could be improved or enhanced in certain production systems. “The SustainaWOOL™ Integrity Scheme is a tool which we want to share with our valued suppliers to help us work and grow together in an increasingly competitive landscape. New England Wool wants its suppliers to stand out from the crowd – in the very best way. We want our suppliers to grow and prepare the highest quality wool with the highest quality production credentials,” Mr Blanch said. New England Wool, on behalf of its Italian shareholders Reda and Vitale Barberis Canonico, promotes sustainable production of superfine wool with emphasis on wool produced under natural pastoral / grazing conditions and with the highest regard to the Environment and the Animal. 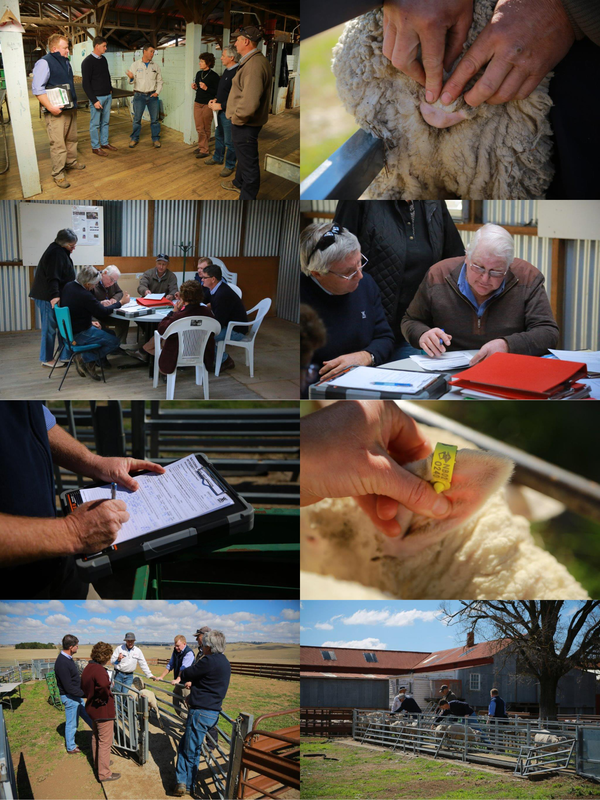 New England Wool is a strong advocate for the Australian Wool Exchange (AWEX) National Wool Declaration (NWD) which provides information to the Australian auction market from wool growers on the status of chemical use and flystrike prevention strategies on each particular farm. New England Wool implores all Australian wool growers to complete this document and provide the information for every bale of wool they offer for sale to all potential purchasers of that wool. New England Wool has paid very close attention to the issue of suitable flystrike prevention in the Australian flock. We understand the complexities of this issue and have worked with the Australian Wool Industry to promote practices that satisfy the Animal Welfare requirements of sustainable wool production whilst respecting the practicalities of wool production on a commercial basis. In 2008, in the very early days of the flystrike prevention debate and the practice of “mulesing”, New England Wool was at the forefront in developing a Declaration system for growers to declare if they did not mules their sheep, or if they had made the decision to “Cease” mulesing. Our Company understood that for growers to do this there would definitely be an extra cost to the grower of both management and extra particular chemical use. New England Wool initiated a “Rebate” system whereby our Company paid the grower A$100 for every bale of non-mulesed wool purchased by our Company. This amount was to help cover these extra costs. “The scheme was developed over a week of discussions in Italy between the shareholders and management of New England Wool, at Pratrivero near Biella. New England Wool is not a large company in the broad scheme of the Australian wool industry, but in our specific area of the best quality superfine wool, we believe we are quite prominent. 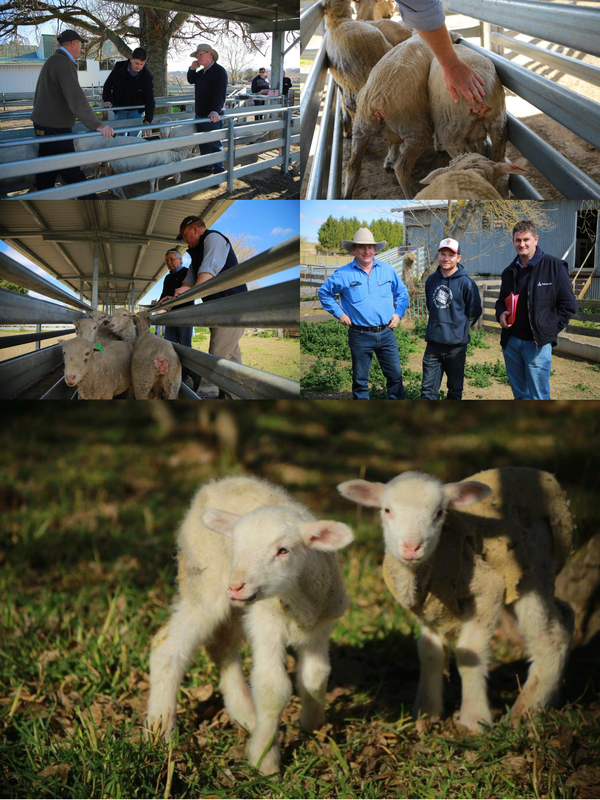 We have always worked very closely with our suppliers and for this reason we feel a responsibility to support them in achieving the goal set for them by the Australian Wool Industry – ceasing mulesing by the end of 2010. The Shareholders of New England Wool are particularly aware and concerned that the producers of wool most suitable to New England Wool would be greatly affected by the cessation of mulesing due to the following facts. The saxon or traditional superfine sheep was likely to have more wrinkle around the breach area of the animal, making them more susceptible to flystrike. Genetic changes would be slow and may affect/change the quality of wool produced from such sheep. It is for this reason that New England Wool has initiated a rebate scheme. We understand that alternatives are being sought, and this must continue. We do know however, that for our particular suppliers, much of the strategy may come down to a raft of on-farm practices that will assist growers to make this major change without adversely affecting the quality of the raw product, or the welfare of the animal. This will no doubt cost producers more”. The rapid development of a very effective Pain Relief product (since 2009), to be applied during the mulesing process, has been a major step forward for the Australian Wool Industry. Our Company fully supports the continuation of research into non-invasive methods of flystrike prevention and the cessation of mulesing by those growers in areas where it is possible to do so. It has become increasingly clear however, that at this particular time the use of a registered Pain Relief product is the very best welfare outcome for the animal. In 2010 New England Wool initiated the concept of using a higher price in the auction room on wools that come from non-mulesed sheep (NM). Now in 2014, New England Wool has added “Pain Relief (PR) to this initiative, and will use a price higher than our normal prices in the auction room for wools declared to come from sheep which have had a Pain Relief product applied. It must be emphasized that the quality of the wool purchased by New England Wool will not be compromised. The “premium” for NM and PR wool will only be applied to wool that conforms, first and foremost, to the high quality standards set by our shareholder customers.